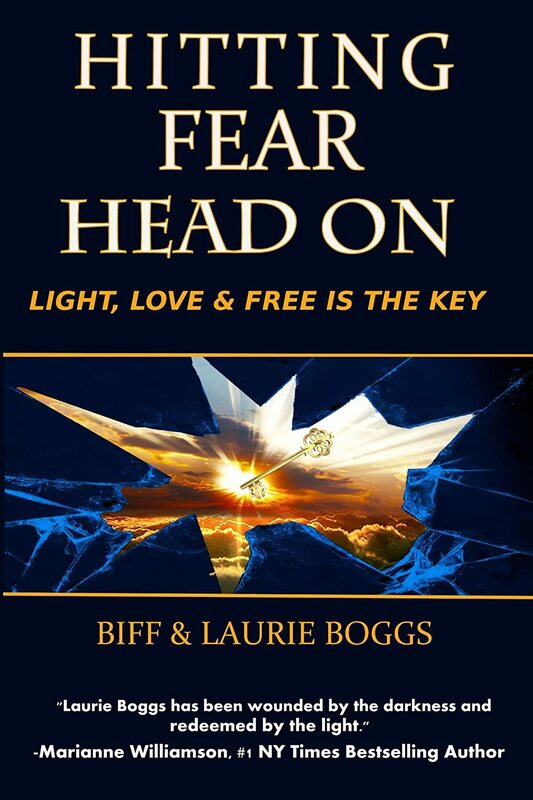 ‘Hitting Fear Head On’ is a powerful, chilling, true story of child abuse and neglect, the illness of alcoholism spanning generations, years of infertility issues, all culminating in a miracle child that is called back home to Heaven at the age of eight. Ironically, he along with 4 others, are killed in a head-on collision with a drunk driver. His parents, broken in body and spirit, survive, and are guided daily with his presence from heaven. That’s when Joyce Taylor came into my life. Joyce asked if she could read what I had written so far. She called and excitedly said, “I see the brain injury in your writing. It is a pattern and I am pretty sure I can figure this out.” That was just the beginning of my long journey of rewriting. Thank you, Joyce, for seeing beyond my disability and honoring my writing. More volunteers stepped up to the plate to help me succeed as a published author. Thank you, Janet Robins, Debbie Lips, Lea Williams and Fran McCorkel for spending many long hours of reading, rewriting, editing and supporting my dream. Without Melissa Van Rossum and Laurie Appel, I am sure I would not have made it. Their gifts to heal me made it possible for me to get out of bed and function. Their endurance pushed me to continue. It gave me hope and a reason to live. Stephen Simon was a Godsend, an unbelievable gift who dropped from the sky. He gave me an incredible amount of courage and confidence. Thank you for your enthusiasm and guidance. You touched me deeply. God planted me in a writing class. That’s where I met Mika Bella. He took the book to the next level. Mika made the book well rounded through his persistence and patience. Anitra Townsend, another beautiful Angel in my life, sat with me for hours while we re-worked the manuscript. Minna Chamberlin and Anne Bleicher, your resilience and fortitude to walk with me after losing your sons gave me the dedication to write and honor all of our children. Christine Jones, Geneal Christensen, Alecia Rice and Christine Rock, Tamsen Leachman, Pat Hastings, Curt Odom, Dr. Tg Belcheir, and Bob Potter have been the wings I balanced on while I learned to fly. They showed me open doors I could not see. Peggy McColl and Carolyn Pignat, Cathy Perryman and Mori Morrison, your editing and passion made the book come alive. Just when I was going to give up again, by the grace of God, I met Pat Roth. She has the resilience of an eagle. Her wings wrapped me in unconditional love, leading me through the threshold, enabling me to expand my wings and fly. Aunt Sally thank you for your wise wisdom and outstanding journalism, along with the beautiful Spirit of Uncle Bill. 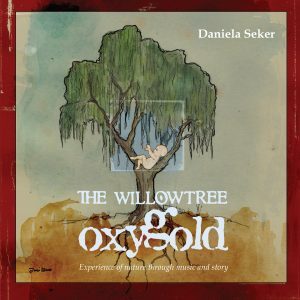 Jami Lynn Sands gave the book the finally polish to complete the project. There are many others who gave me their shoulders to cry on and gave me the strength to continue. My beautiful husband, Biff, for all the rewriting and for being patient with the brain injury, your enduring love, unwavering support and understanding propelled me to live our dreams. You were there for me, and for Preston, before he was born, when he was alive, and now that he is reborn again into the hands of God. Finally, God and Preston, I am grateful for being sent back to Earth to live in my broken body and shattered dreams. I had no idea how much you both loved me. I had not seen value within my soul, within my mind, within my body…until you showed me. Miracles were created with an invisible magical power that we co-created together. I found an inner strength through you, God, while I embraced you and Preston through my darkness, Your Guiding Light, lifted me to the highest realms, showing me depth, courage and wisdom. Thank you for your unconditional love and for teaching me the freedom to soar. I love you all. Our hearts are never apart! Out of that world came our second book. Dr. Bonnie Vestal, a grief counselor, suggested our companion book, 18 Stepping Stones to Transforming Grief, as a how to book that is outside the box of mainstream grief. Thank you all for your support and allowing us to share keeping Preston Alive! Targeted Age Group:: Parents, especially mothers, ages 20 and beyond. 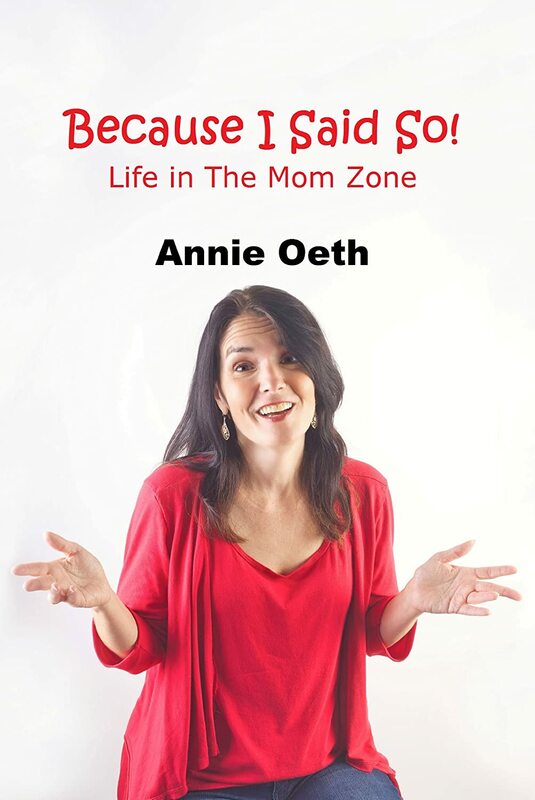 The inspiration for writing “Because I Said So: Life in The Mom Zone” was partially writing The Mom Zone blog for The Clarion-Ledger, the daily newspaper in Jackson, Mississippi, and partially living my life. You can’t bring up four children without having some tales to tell. “Because I Said So” tells quite a few of them, some sweet, some funny, some sad, but all of them heartfelt. YOU MADE IT PAST THAT 1ST YEAR! Your life may have settled into a nice, predictable routine – or not. Are you worried about your child’s behavior? Her development? Her health? Does your child go to sleep, or cry half the night? And is he a holy terror out in public? 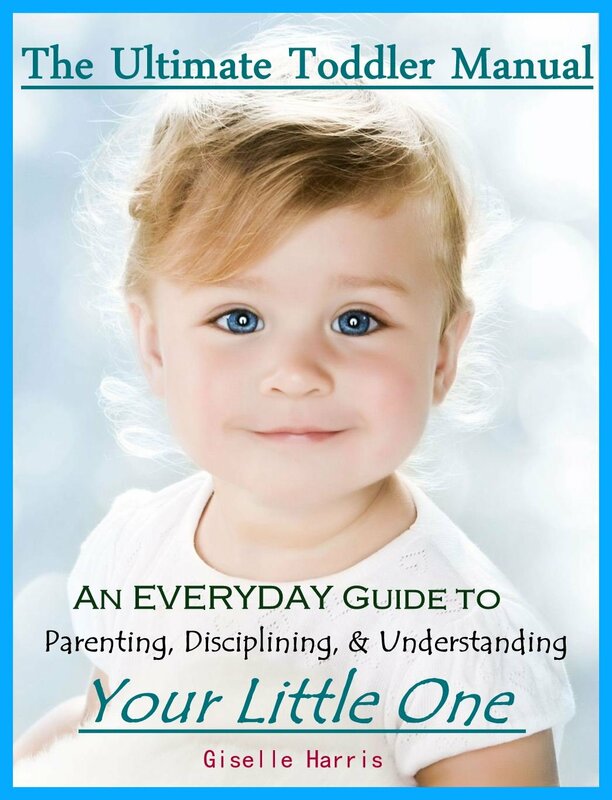 The Ultimate Toddler Manual promises to be your go to book for advice that you can implement. You will be guided through the preschool years by chapters like “What’s Normal?” and this guidance also looks at what is normal for you, not just for your child. Of course, just printing out the accepted developmental milestones wouldn’t do you much good, so you can look places like Chapter 4: Things Don’t Add Up, for guidance that you can take to your pediatrician. You’ll see that some problematic behavior is related to security of your child’s attachment to you and to other trusted caregivers. You will learn ways to help your child bond securely to you, and then you will see the implication of attachment to limit setting and building trust. You will learn about the four major triggers of problem behavior, and how to analyze a problem behavior by using the ABC model (Antecedent-Behavior-Consequent). Yes, we have handled tantrums. In the car, in the supermarket, at the restaurant, and at home. The tantrum, like any other behavior, can be analyzed, and largely, prevented. We will help you do that, and give you the support that you need to break the cycle that you and your child may be child might be locked into. We have also provided a discussion of normal and abnormal sleep behavior, which you will find helps you reduce oppositional, problem behavior during the day. You have heard enough information, misinformation, and “helpful advice” about getting your child out of diapers that you might doubt your own competence. No longer! We separate all the data into the 5 schools of thought on potty training, so that you can see what makes sense for your family. Finally, we address caring for the person on whom your children depend most: YOU! The Ultimate Toddler Manual treats you as the competent, capable adult that you are. You will find yourself returning to these pages again and again. I was inspired to write this book after seeing new parents struggling with raising their toddlers and toddlers to be. This book is ideal for anyone with a toddler or even expecting a new bundle of joy (its never too early to start).